Louis Havluj was a musician almost all his life, playing trumpet and accordion in his own polka band, “Louis and the Polka Dots.” In 1978 when his grandchildren were taking Suzuki violin lessons he looked at a homemade violin and thought, “I can do better.” He began his work making pint sized violins for his grandchildren. Louis made over 25 violins with beautiful birds eye maple backs and each with a distinctive lovely tone. Each handmade violin has taken at least 6 months to a year to make. 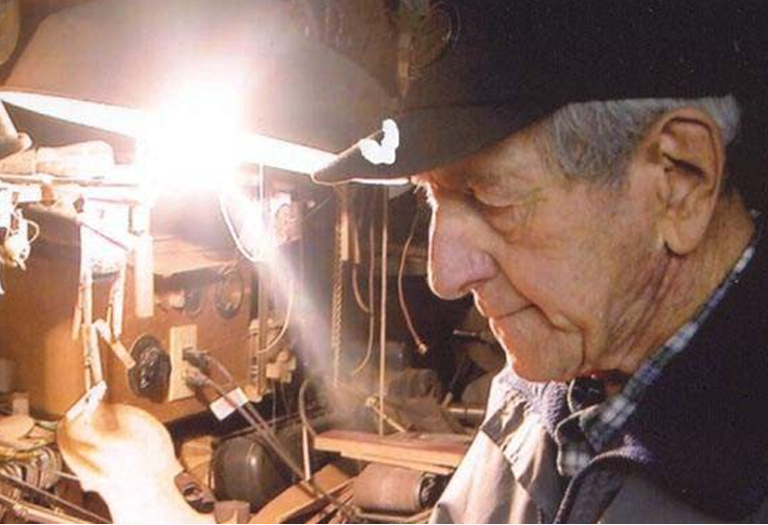 Louis made many other items from wood including clocks, lamps, bowls, and replicas of old farm equipment. He enjoyed taking the time to study a piece of wood to see what it could become. Most of the violins he made are now held by his daughter and his grandchildren. It is hoped that some of this work will be displayed for the public in future years.